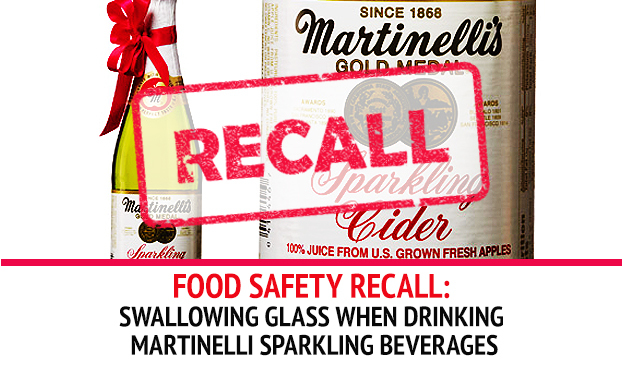 Martinelli’s is recalling mini sparkling beverages that may contain pieces of glass. S. Martinelli & Company is voluntarily recalling an unknown amount of mini sparkling beverages with the potential to chip. Pieces of glass could cause harm if accidentally consumed. 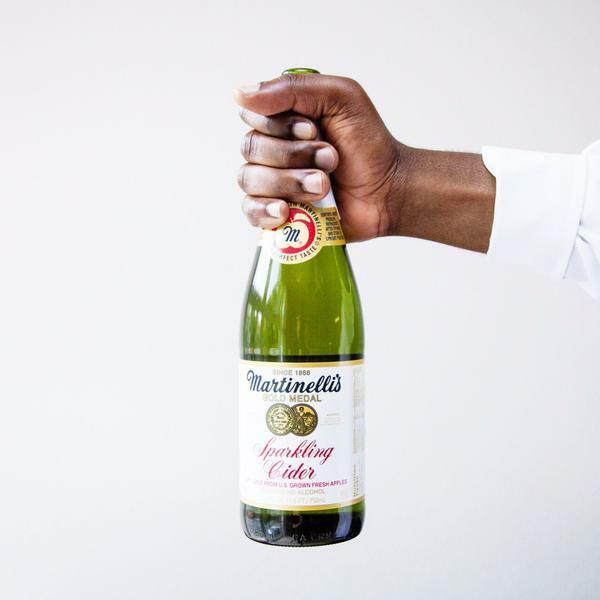 The recall includes Martinelli’s sparkling ciders and grape beverages, but the champagne products have not been affected. The recall includes 8.4 oz mini bottles of Gold Medal Sparkling Cider, Sparkling Cider Northwest Blend, Sparkling White Grape and Sparkling Red Grape beverages. Portions of the mini bottle’s glass may chip off and fall into the beverage. Consumers could potentially be cut by small pieces of glass or accidentally swallow the fragments. However, no injuries have been reported. The recall was initiated after the company conducted tests that showed some bottles may chip when being opened. The bottles were manufactured with a “Best Before” date after March 1, 2018, but before September 12, 2018. The date can be found by examining the front labeling. It is important to note that the 750 ml “champagne” and the 10 oz. bottles are not included in this recall. “S. Martinelli & Company is committed to ensuring the quality and safety of all of our products,” according to the company’s website. The recalled products are being removed from store shelves, but consumers should be aware of the dangers. Be sure to check the dates before drinking the Martinelli’s sparkling beverages. In addition, consumers possessing the defective product can receive a full refund by returning the beverage to its place of purchase. Contact the company via phone at 1-800-662-1868. S. Martinelli & Company is committed to ensuring the quality and safety of all of our products.